Today I am feeling a bit lonely, isolated and out of action like ranbir kapoor from movie – yeh jawaani hai deewani who values his ambitions more than his family and friends. At the climax, ranbir realizes that in the race to achieve his dreams, he has lost out his true friends who were ready to be with him at every juncture of life. Human being is a social animal who loves bonding. When it comes to dosti and yaari, we Indians are extreme in that case. The moment guys meet on a tea stall (chai ki tapri), the conversation always begins with swearing words like kutte, kamine etc etc. Men bond over tea cups and vodka while girls bond over paani puri, coffee shops and apparel stores (their blabbering is endless and their topics are beyond anyone’s imagination). Today while traveling, I noticed some young kids dressed up in blazers, too excited to attend the farewell party of their school. My eyes moistened over that scene. I recalled the best moments spent with my buddies at my school, college and office. Most importantly, I remember one of my best friends at school who motivated me at the low phase in my life. Without his support, I wouldn’t have ever succeeded in that stage. Unfortunately, now I have lost touch with him. At a certain stage, I got so busy in my own ambitions that I hardly bothered to pay heed to the situations my friend was going through. Little did I realize that my friend had left India never to come back. The presence of your family and friends at your successful moments matters a lot than the million of awards that you will receive among strangers in a award function. 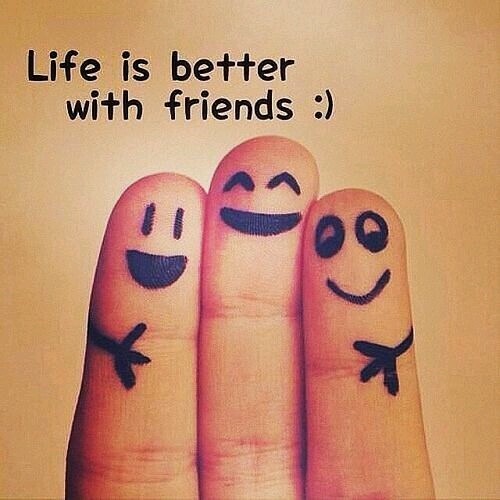 The presence and affection of your friends is irreplaceable. They will criticize you on mistakes, encourage you on difficult times as well as rejoice with you on celebrations, but they will never neglect and leave you alone in crowd. Having a true friend is more precious than discovering a diamond in a coal mine. Though I always say ‘books are my best friends’, but sadly books can never listen to my feelings or pat on my shoulders with a friendly gesture. We really need a friend in whom we can confide our feeling and thoughts which we usually can’t share with our parents. From ‘sholay’, ‘kuch kuch hota hai to dil chahta hai and yeh jawaani hai deewani, the spirit of friendship has stood the test of time. Whether it is rejoicing on convocation ceremony or crying over breaking up with a sweet heart, our friends are always there. God has given us just one small life. Why waste it in sadness and loneliness? Let’s reconnect with all the people whose presence matters a lot in our life. Even one true friend is enough for a lifetime.